If you’re a golfer in Southern California, you’ve probably heard of Lizette Salas. She’s a superstar USC alumna, Solheim Cup veteran and an icon in the Latina golf community. 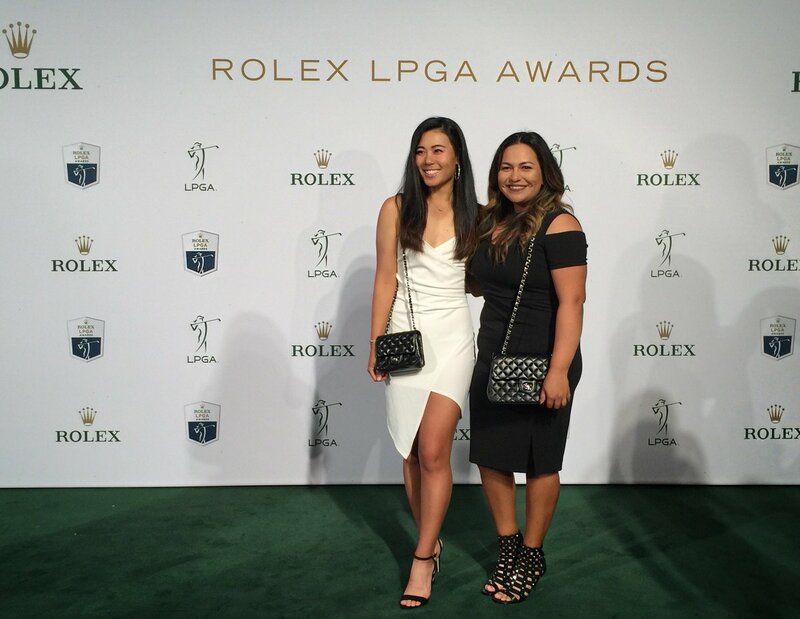 She can be often found hanging out with fellow Californian and Pepperdine alumna Danielle Kang, now playing side-by-side on the LPGA. As she prepares for the West Coast swing after her international run, we had a chance to sit down with Salas to talk about 2019 and beyond. FORE Her: How is the 2019 season treating you so far? Lizette Salas: It wasn’t my best but I’m noticing positive aspects from my training in the off-season. I’m excited about where my game is at as I’m headed into the West Coast swing. You can never really perfect the game, but it’s so addicting, you just want to keep working hard at it. I got a new caddie this year, which is a learning process, but it’s exciting at the same time. FH: What have you been working on lately? LS: I’m not really known for my length off the tee, so I’ve been pretty reliant on my short game. This year, I’ve been working with a fitness trainer to get that extra length I’ve been missing. It helps a lot with mental game too. Being in the gym has become something of a routine. Sometimes I don’t want to go, but the benefits are so worth it. It taught me a lot about myself and how I can push myself. FH: Do you have any mental game tips for our readers? LS: I’ve never really addressed my mental game until now, so I’m working to become stronger mentally and physically. I don’t want to let certain things about my game affect me so much, like missing short putts or fairways – those are my pet peeves. I want to use those down-moments and turn them into positives. I just want to be happier out there. I get to play a game for a living, share my story and inspire others, that’s the perspective I’m trying to have. FH: How are the rules changes treating you? LS: I mostly putt with the flagstick in now, even though I don’t really notice a difference. It’s more of a convenience! But the LPGA has been in constant communication with us, sending emails about the rules, keeping us up-to-date. I think with our Tour, reminding players about caddies not being able to line us up while we’re over the ball, that rule has been pretty important. 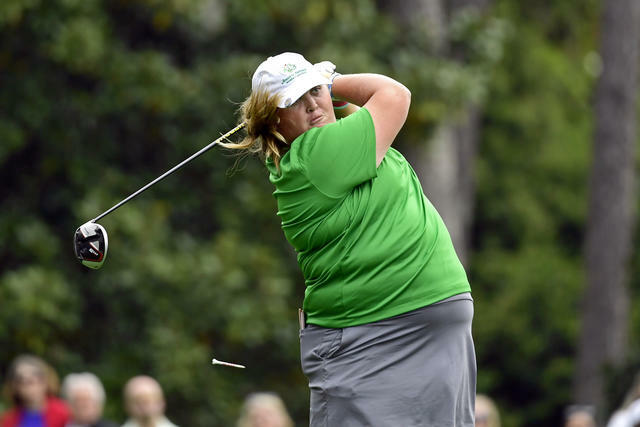 FH: You’re eight years in, so as a “veteran” on tour, do you still get nerves on the first tee? LS: I still get nervous all the time! Nancy Lopez said something to me one time and I’ll never forget it, “If you have nerves, it means you care.” I only really get anxious before getting on the plane to go to the next tournament. I always overthink about if I’ve done enough practicing and working out. But on the first tee, as soon as I hit that first shot, I’m immediately back to normal. FH: That’s quite a name to have by your side! Who else do you stick close to on tour to keep your spirits up? LS: I remember last year at the CME Championship, I was playing with Danielle Kang, and I wasn’t playing that great so she gave me a little pep talk. I actually got a birdie on the next hole and she goes, ‘Can I get a smile now? can I? !’ Danielle knows me so well, we’ve been playing together for so long. It can get tough and lonely out there, and you can’t always rely on our caddies and coaches so it’s nice to have friends out here on tour. We played college golf against each other and we were rookies at the same time. Eight years later here we are, still friends! FH: Speaking of college, USC is a stellar school for women’s golf. How did that experience prepare you for the Tour? LS: I don’t think I would be on the LPGA without that Division I experience. From the competitive aspect it was a big transition, but I saw so many girls out there that I played with in college and that helped put me at ease. Not to mention, everything in college was organized! You would just show up, play, practice and go home. When you’re on tour, you’re your own boss, and you need to make your own decisions, so that was a challenge. But I’m so grateful to have had that college experience at USC. FH: Let’s talk about the Hugel Air-Premia, what are you doing to prepare for Wilshire CC? LS: There are too many bunkers at Wilshire! It would be nice to avoid those the best I can, but I’ll need a strong bunker game, just in case. I used to play Wilshire all the time in college, but I would always struggle on the back nine because our practices would only be the front. So now, that has bit me in the you know what! I’ve dealt with the consequences, but it’s a great course. It’s a good event and I’m really looking forward to it.